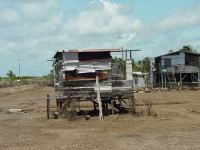 A sample of the total number of shelters in Georgetown and East Coast Demerara, which are housing more than 3,000 people, would be taken and the occupants asked to respond to a few simple questions about life in the shelter such as access to water, food and sanitation, she said. Caesar-Fox added that a number of people would be interviewed in detail to develop case-studies to, among other things, ascertain the impact of the flood on female-headed households mainly in depressed areas such as Sophia. 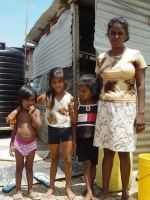 "I think women in a lot of ways have garnered themselves to try and make a future life for their children by building their own homes in Sophia Squatting areas, since most of the are women, but the floods came in and just got rid of their dreams," she said. 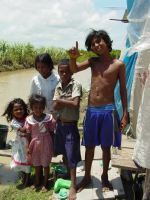 The GCIFR was established on January 26 by a small group of professionals to contribute to the national response to the disastrous flooding caused by unusual heavy rains last month, meanwhile urges community organisations to join the Citizens Initiative at Demerara Mutual Life building and help assist in speedily identifying the suffering of human beings. The latest available figures show that 293,988 persons have been affected (39 per cent of the total population) in 113 villages. 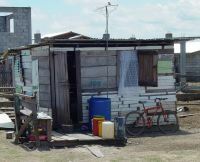 This represents some 60,000 families, mainly on the East and West Coast of Demerara, and the West Bank of Demerara. 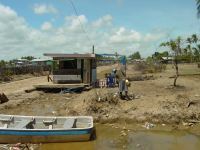 The most affected area is on the East Coast of Demerara between Georgetown to Mahaica where an estimated 72,020 people in 68 villages have been affected. 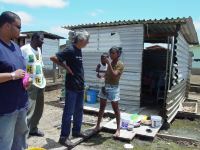 The GCIFR works along with community-based organisations, non-governmental organisations, the private sector and professional organisations to assist in the coordination efforts and responsibilities of the government, United Nations (UN) agencies, donors and others who have allocated human, financial and material supplies.